Start the Birthday Dragon Hunt at Grendel’s! We featured Grendel’s recently on Designing Worlds, and on the show, Toady Nakamura, Flea Bussy and Cacia Escape told us something about their plans for a special dragon quest to celebrate Grendel’s 7th Birthday. And now that Quest has started – and it’s an awesome one, packed with things to find – and special gifts along the way, as well as a bumper prize at the end. Braving Dragons on the Quest! 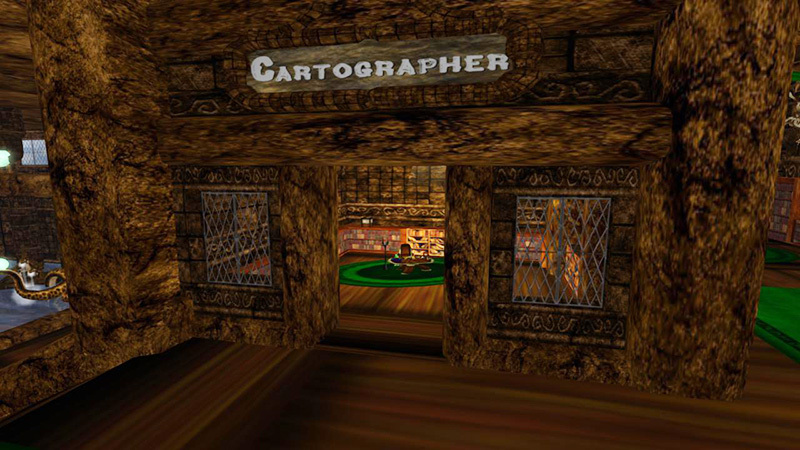 You begin in the Cartographer’s Room, deep in the bowels of the main Grendel’s store. 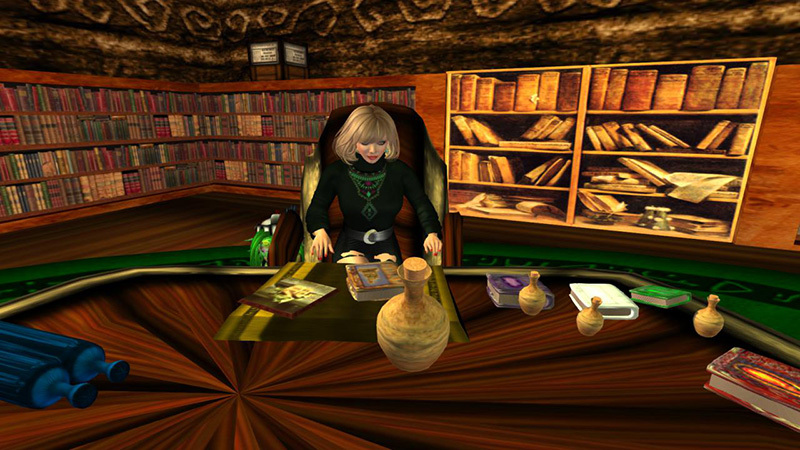 Here you will find books – one for each day – which tell the story and offer your initial clues. Recently, Kobold Scouts came through and left bottles from their favorite types of cactus juice, and of course, Kobolds have a great sense of humor, so watch out, they have some unusual names for beverages!! You are more likely to find a Fire bottle, near a fire or a flame, and so on as the days progress. And the Kobolds may have used them as candle holders, water bottles, or dropped and broken some of them, so be on the lookout. There are three kinds of bottles… Smashed, Misshapen and Complete. Each day you will need Three Smashed, Two Misshapen and One Complete bottle to cash in for the prize tokens. Each day, start here in my office, and touch the new item on my desk for the starting point of the quest, and perhaps, a hint or two. Maybe. Other hints will be offered along the way. How to Play the Grendel’s Children 7th Birthday Game! Collecting days will be extended a day or two after end of week, especially for things like total Internet breakdowns, SL issues, major power outages, and such – as needed. Every day, a new and powerful dragon. With secrets! The Kobolds will sail in soon with a ship laden with goodies. Hang on to your tokens. The list of what you need is below. Prizes: Yes, of course !! Wonderful things !! Every day, visit the cartographer’s office on the lower level, across from Tutorials and just outside the Library. Each day there will be a new object on the cartographer’s desk. Touch that object, and it will tell you how to get started for that day. Along the way, the cartographer’s notes will tell you a bit of history of Grendel’s Children and perhaps some of the secrets of the landscape. Others you will find for yourself while you find a series of Vessels. There are three types of Vessels you can collect, from the least value to the greatest they are named: Smashed #3 least value, Misshapens #2 middle value and Completes #1 most value of collectables. Every day you need Three each Smashed, Two each Misshapens and One each Complete Vessel to trade with the Kobolds for Staff Prizes and the coveted “Pristine Vessel.” A full set of “Pristine Vessels” will unlock the ultimate prize. You may be sent off sim for certain items, suggested locations may be found in the kiosk near the entry. I have only to add that some of the things are very easy to find, while others are extremely hard – to the point of being downright evil! There are some fabulous landscapes and settings – as you would expect – and a lot to make you laugh as well – this is a very fun quest! Oh, and make sure to wear your backpack! If you discover a next of eggs and stand very close, your backpack will give you a special gift – just one of the little surprises to discover on the Quest! Previous Post: Are you looking forward to Cake Against Cancer? Next Post: Happy Hunting Gets Busy Collecting Acorns !